The 2018–19 Golden State Warriors remembered how to have fun. The Warriors look like the Warriors, which is terrifying. When the Golden State Warriors are playing their best version of basketball, it doesn’t look much like basketball at all. This was the case Monday, when they scored 92 points in a blistering first half against the Chicago Bulls. It was as if the Bulls were bound to a completely different set of rules than the Warriors, who whizzed the ball to-and-fro with their proprietary blend of ping-pong, hockey, and jai alai. That Chicago went into the locker room down 42 points after two quarters is actually rather impressive when you consider they weren’t equipped with paddles or ice skates. If only Zach LaVine had brought his chistera, maybe Klay Thompson wouldn’t have hit an NBA record 14 3-pointers. The previous mark of 13 3-pointers in a single game was set, naturally, by Thompson’s teammate Stephen Curry two seasons ago. Curry notched the assist for no. 13 Monday night, and no one was happier than Steph to see his record get usurped. The 2018–19 regular season is only two weeks old, but Golden State has already treated us to a litany of insane performances. Curry came out the gates hitting five or more 3-pointers in seven straight games, an NBA-record streak that ended on the same night Thompson set fire to Chicago. Kevin Durant (oh yeah, he’s on the Warriors too) torched the Knicks for 41 points last week, 25 of which came in the fourth quarter. 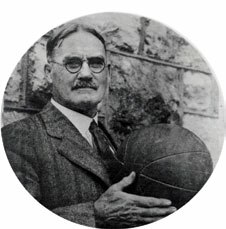 The Warriors will be remembered for games like these, in which records are broken in ways that would make James Naismith’s brain shoot out through his center-part. Golden State hasn’t always adhered to this special brand of playful evisceration, however. Just look at last year. The Warriors’ 2017–18 season was a clerical success. They faced one close call, against the Houston Rockets, who pushed them to seven games in the Western Conference Finals, but Golden State otherwise put in just the right amount of effort to win yet another NBA championship. On paper they looked fine, but rarely did they play like the Warriors we talk about in campfire ghost stories. Re-watch their 58-win regular season (a modest record, by their standards), and you won’t find a single game that matches Monday’s vivisection of the Bulls. The best individual offensive performance came when Durant scored 50 points against the Portland Trailblazers. The Warriors lost. Be it due to injuries, complacency, exhaustion, or a combination of all those things, those Warriors were mostly devoid of mirth. Compare that to the previous two seasons, when Golden State manufactured rare celestial events on a nightly basis. The 2016–17 Warriors gave us Curry’s single-game 3-point record and Draymond Green’s museum-quality triple-double against the Memphis Grizzlies, when he scored 4 points but tallied 11 rebounds, 10 assists, and 10 steals. There was also Thompson’s incandescent 60-point performance against the Indiana Pacers, a game where he played 29 minutes and, in what is perhaps the most amazing NBA statistic in history, dribbled the ball only 11 times. Before that came the 73-win Warriors, a team that turned NBA League Pass into a season-long snuff film. Among their more noteworthy vivisections were Thompson’s 37-point quarter against the Sacramento Kings and Curry’s game-winner against the Oklahoma City Thunder, a moment that gave Mike Breen glossolalia. Perhaps it’s because this is their last year in Oakland, or maybe it’s in response to Durant’s rumored, imminent departure, but Golden State isn’t simply eating its vegetables this season. When asked about potential complacency before the start of the season, Golden State owner Joe Lacob said, “We’re still really hungry.” Apparently, the Warriors show it by playing with their food. *Correction, Oct. 31, 2018: This post originally misstated how many total points Klay Thompson scored in this game.